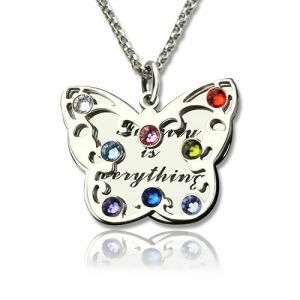 Engraved Mother's Butterfly Necklace with Birthstone - Moms are always there when you need them and they love you unconditionally. 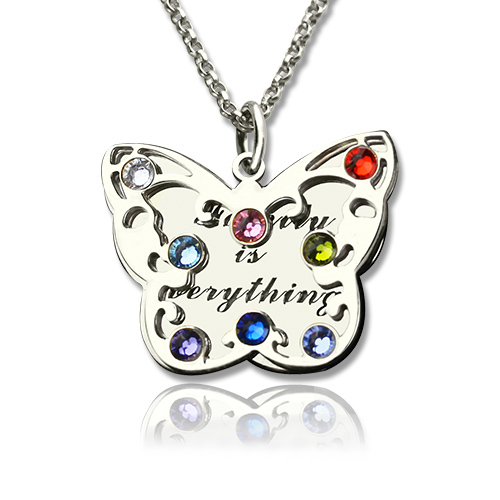 celebrate how much you love her with the engraved butterfly necklace for moms with birthstone. 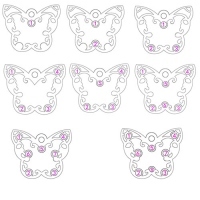 Butterflies symbolize change and growth, both of which is possible because of your mom. Let your mom or a grandmother know just the kind of impact they had on your life with this necklace. 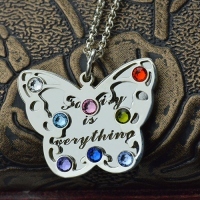 Select up to 8 birthstones for this necklace and then engrave a special message underneath. 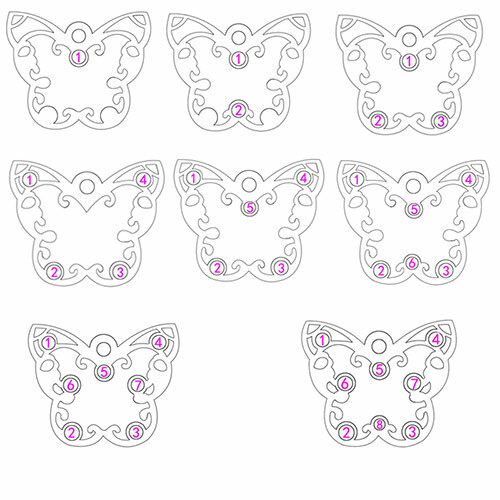 Butterflies are symbol of a new life, and of letting go of old cycles and of finding one's true inner self. 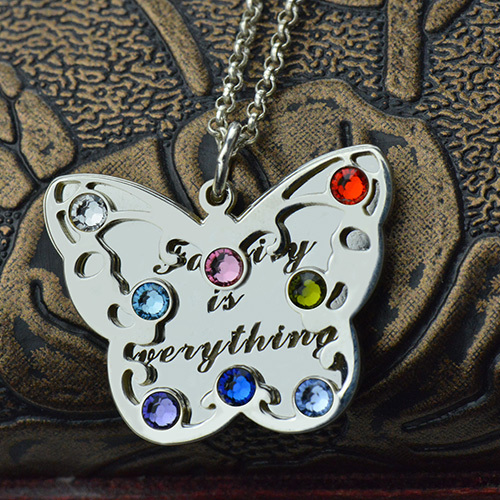 A Butterfly necklace makes the perfect gift for a new start in life, a new beginning.